New research from online sports equipment retailer Sweatband suggests that the average person works out for 19 minutes longer when listening to music. 1,621 men and women who regularly exercise were polled as part of ongoing research by Sweatband into the nation’s exercise habits.Respondents were initially asked whether they generally listen to music when working out – 61% said yes and 39% said no. Those that said yes were then asked if they noticed any benefits of doing so during workouts. 63% felt they did see benefits when they listened to music. Of the 37% that felt they didn’t see any discernible difference, many explained they use music predominately to pass the time while working out. Those that felt they had seen noticeable benefits were asked what they felt these were. A third of respondents said music helped to distract them from the pain and intensity of their workout, while 28% explained that listening to music helps to break up the monotony which enables them to continue working out for longer. Listening to music also helped 27% to increase their number of reps and 22% to lift more weight during workouts. Participants were also asked how long they spend working out in an average session. Those that claimed not to listen to music tended to work out for an average of 39 minutes. However, those that did listen to music while exercising had an average workout time of 58 minutes – an increase of 19 minutes. For those that opt not to listen to music while working out, the study asked why this was the case. 31% said they tended to exercise with others and felt listening to music would come across as being anti-social. 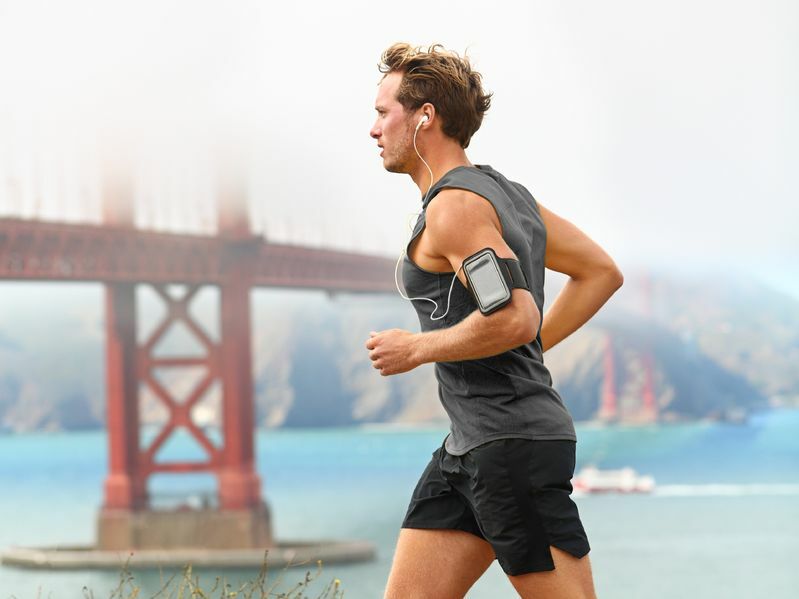 27% felt music would prove to be more of a distraction and a huge 49% admitted they avoid listening to music as they worry about the danger of not hearing approaching traffic when they are exercising outdoors, such as cycling or running.